Gasworld: What does the future hold for CEFRANK? Will this be a future that you are involved in yourself, or will your father still be guiding the company onwards and upwards? CEFRANK: I can’t predict the future of course, but things look bright for us. We’ve had a couple of very strong years and things don’t look like they’re about to slow down. We’ve had some really interesting enquiries and projects quietly developing in a few sideline areas in and around Europe. My father will always be guiding the business. He built it from the ground up and he knows it like no one else ever can, but in the meantime my brother and I have been slowly taking over more of the daily operations. Gasworld: What’s the chief growth driver for CEFRANK – and do you see that evolving over time? CEFRANK: What drives us is a desire to make our product better. We’re leaders in our corner of the market because we’ve designed and produced some of the most state-of-the-art packaged-gas equipment in the world, and we don’t want that to change. So while our goal might not evolve any time soon, our efforts do, constantly. Gasworld: Where do you see CEFRANK being in five years’ time? CEFRANK: I hope that in five year’s time more of our bundles and pallets are seen in the field all around the world. We hope to get involved in some innovative partnerships with like-minded businesses who are interested in moving forward and making things better in our unique corner of the market. 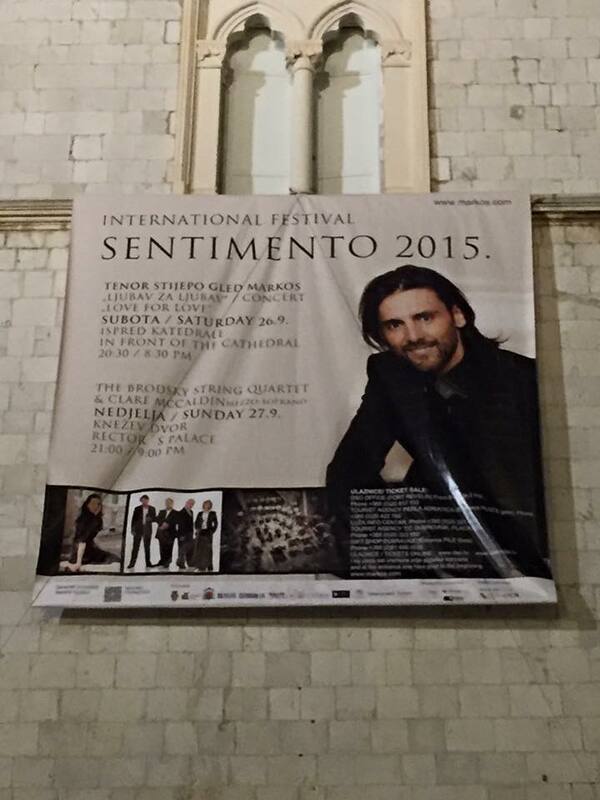 In a recent performance, set in the old city of Croatia’s coastal town of Dubrovnik, tenor Stijepo Gled Markos sang with the famed Brodsky Quartet for the Sentimento Festival 2015. 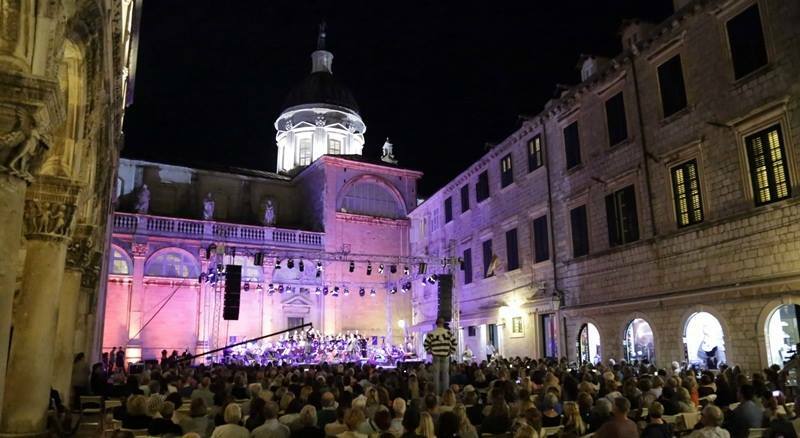 In the concert called Trees, Walls, Cities, Markos was accompanied by the Dubrovnik Symphony Orchestra and mezzo soprano Clare McCaldin, singing a cycle of eight songs that include eight cities surrounded by walls and trees; the music connecting the towns of Dubrovnik, Derry, London, Berlin, Vienna Utrecht, Nicosia and Jerusalem. The world’s leading broadcasters such as the BBC, the Telegraph and the Guardian followed this project in which music crosses barriers in the walls, creating an atmosphere of togetherness. Great music was not the only result of the Sentimento Festival this year, as it was magnified by the cooperation of Professor Nigel Osborne player, a world-renowned humanitarian, composer, musician, and the world’s leading music educator who will hold an educational program for children with developmental disabilities. 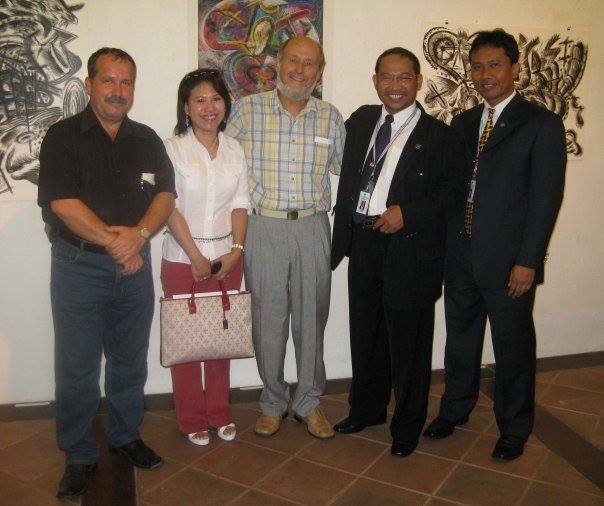 Director and CEO of CEFRANK, Frank Cetinich supported this festival and was in attendance for the September event. 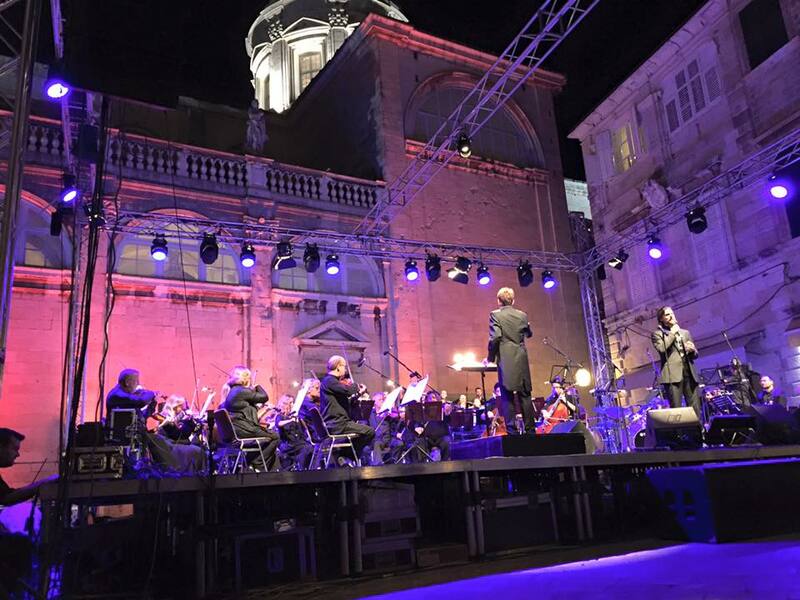 “I enjoyed the ambience of the old city” Frank said, and he was also impressed by “the quality of the mezzo soprano Clare McCaldin.” The highlight of the event for Frank was the performance of Vilo Moja, a traditional folk song which was treated to a modern interpretation. Frank has been a supporter of the Markos ever since being introduced to the tenor. “I believe in his talent. He has a wonderful voice, a magnetic personality and a very strong stage presence” said Frank. Soloist Ryland Davies, says that “Markos has a very rare type of voice, dark and warm” and composer Alfi Kabiljo has said that “Markos has an exceptional stage charisma”. To find out more about Markos, visit his website, www.markos.com or listen to his showreel on Youtube. Our customers come from all corners of the world. We’ve done business with people from all parts of Europe, various countries in Asia and of course we’ve got some long-standing clients in Australia where it all began. From where ever it is in the world, we’re always so pleased to see photos of our bundles and pallets out in the field. 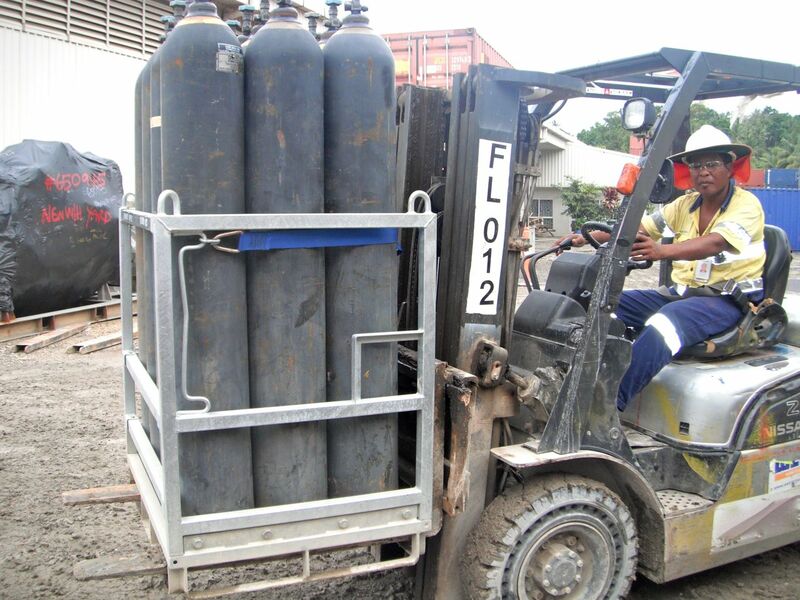 Some time ago we sold some cylinder pallets to a mining company for use out in the remote wilds of Papua New Guinea. From these photos you can get an idea of the conditions that our equipment must endure and how there is undoubtedly some rough treatment for the cylinders on board. 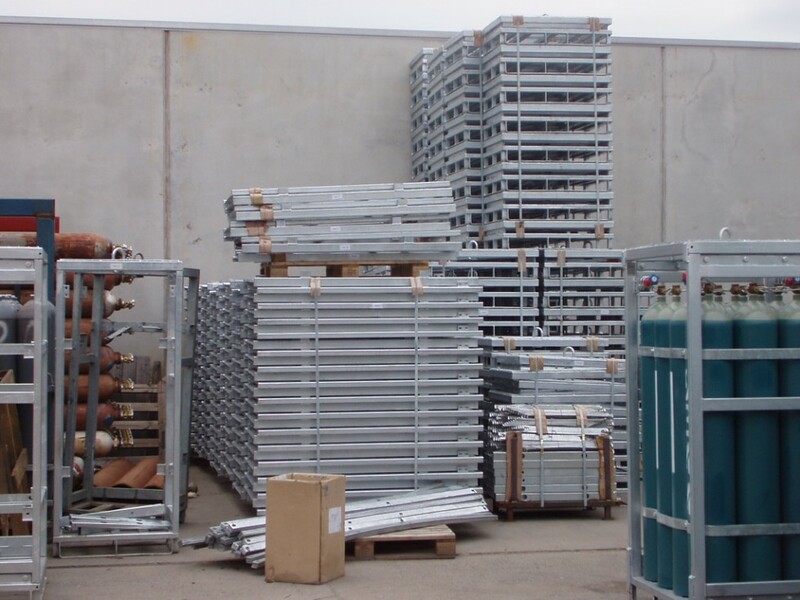 Our pallets are designed to stand up to all kinds of weather conditions and handling. 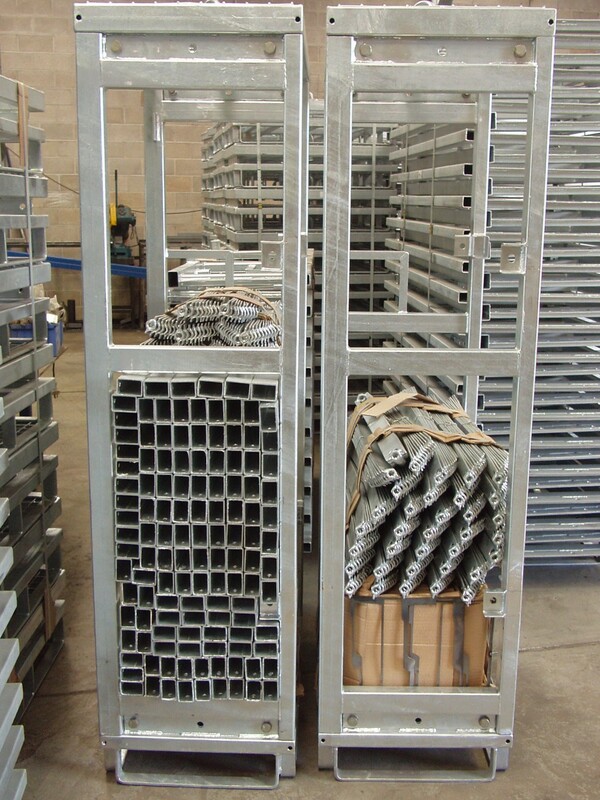 The hot-dipped galvanised frames provide a thick coverage for all weather and conditions. The grid-mesh flooring allows for drainage in wet weather and snow. The ratchet strapping allows you to secure a load of cylinders that isn’t full to capacity. Features like the loading ramp help the end-user to load and unload the cylinders and the safety arm to secure them with extra assurance. What better place then to install a symbol of peace and harmony amongst religious and cultural differences? Croatian sculptor and painter Ante Sardelic (pictured in the middle of the above photo) is making swift progress with the sculpture that will feature at the site and CEFRANK founder Frank Cetinich (pictured left of the photo) is anticipating that the gong will resonate with both locals and the global community at large. Mr Cetinich is a major sponsor of the World Peace Gong, and is looking forward to announcing the date that the gong will be officially displayed. It is believed that the gong will be unveiled in November 2015. 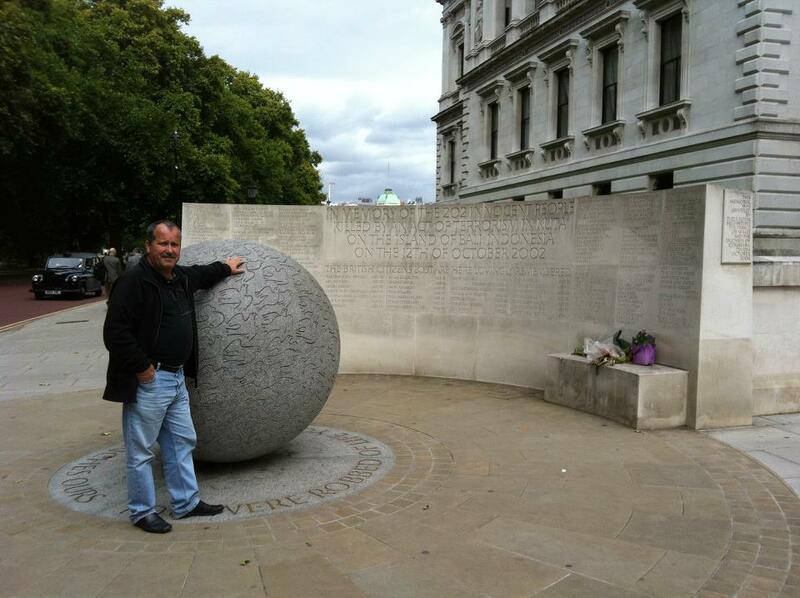 Mr Cetinich is pictured below with the monument in London dedicated to the memory of the 202 lives lost in the Bali Bombing of October 2002. CEFRANK has been developing and refining the design of our manifolded cylinder pack for many years and we never truly stop. When ever a new idea presents itself or an opportunity for innovation arrives, we always explore the possibilities. It was in the spirit of exploration and innovation that CEFRANK was created in the first place. Founder/director Mr Frank Cetinich saw a gap in the market for gas cylinder equipment that was universal, a manifolded cylinder bundle that took the best features of existing market models and rolled them into one product. 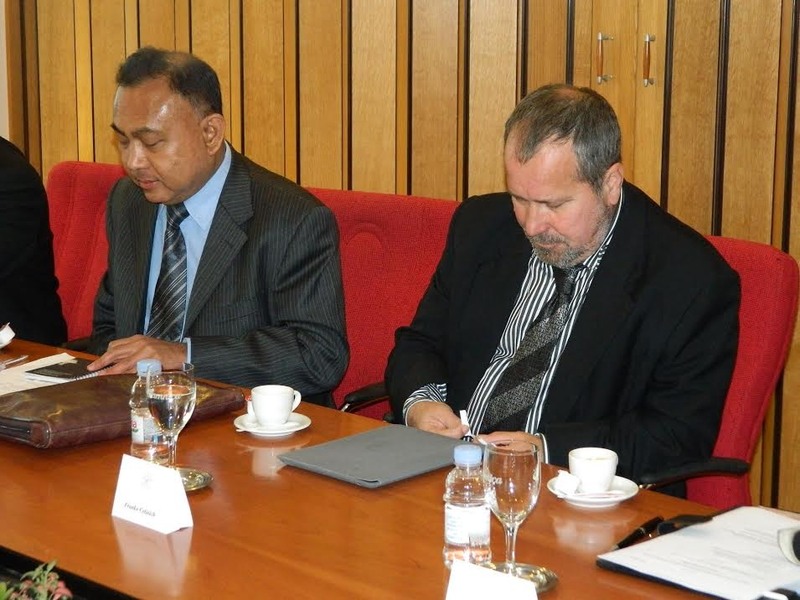 Mr Cetinich envisaged the the democratisation and standardisation of gas cylinder equipment. Of course he still fights for this. Each gas company has its own methods, standards and models and consequently the market is flooded with myriad varieties requiring a lengthy and thorough industrial standard and a cottage industry of paraphernalia to maintain and use them. Our design developments have usually been spurred on by the need to remain competitive in the market. Necessity is, after all, the mother of invention. 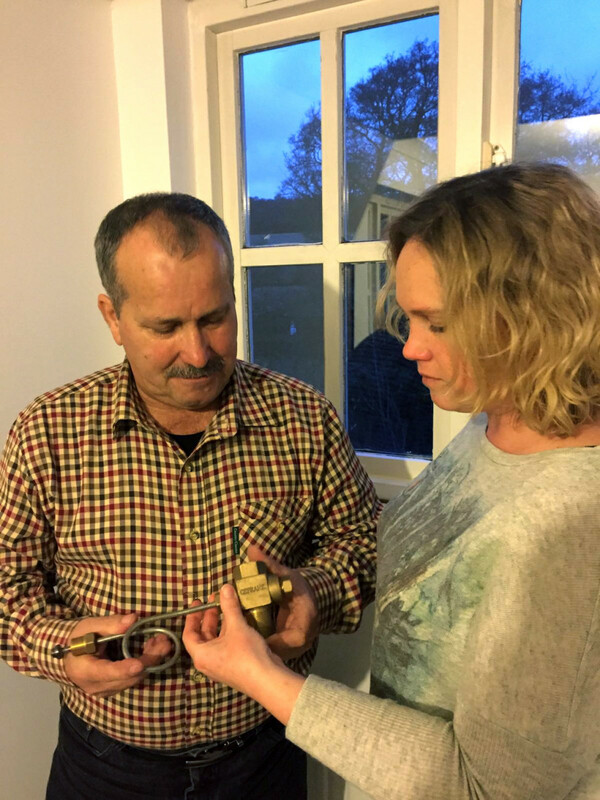 By thinking outside the square and taking advantage of the peerless wealth of experience and knowledge that Mr Cetinich has, CEFRANK has been able to create a product unmatched in not only its usability but in its eco-friendly status. Made up of over 95% recyclable materials like steel, zinc and brass, our manifolded cylinder bundles/packs and cylinder pallets have the lowest carbon footprint of any rival products. 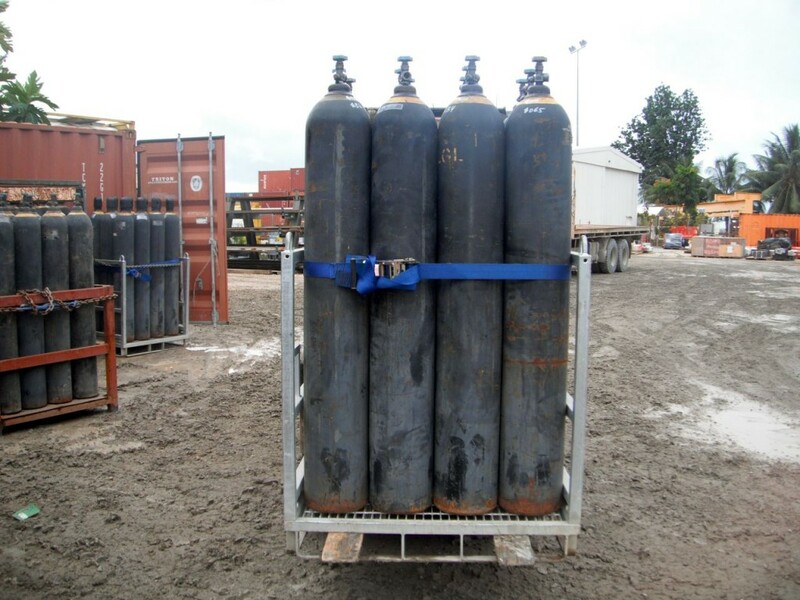 We know this because our cylinder bundles are light-weight, fully galvanised and bolted which means they can be shipped flat-packed saving on packaging and, handling and fuel and they can also be put together without the need for welding and the associated emissions. We have even developed a special slim-fit cylinder bundle that can fit up to 17 x 12 cylinder bundles into a standard 20 foot container. Design, material and manufacturing changes to components and configurations of our manifold have led us to develop manifolds that are easy to access and safe and yet benefit from an efficient use of materials through engineering know-how. Whether it’s the material of the specific component, the size and shape of the thread, the tape or the configuration of the tubing, CEFRANK manifolds and cylinder bundles have been put together to make the most Spartan use of resources. Our technologies appear invisible to the untrained eye, but to experts in the field, our product is second to none in all aspects ranging from the details of the parts to the assembly of the product. Every single element of our cylinder bundle has been honed and refined to be simple in function and form, reliable and robust in application and kind to the environment. At CEFRANK we’ve been developing our design over the years to create a product that is universal. When you stop and think about all the different rules and regulations, standards and laws that exist from region to region, let alone all over the world today, it’s astonishing to think that one product of such a specialised nature can possibly satisfy all the codes in all countries. It’s a big claim, and there are probably exceptions, but when it comes to road, transport, handling and safety requirements, our designs have been developed by CEFRANK founder Frank Cetinich to conform with the various standards across Europe, America, Asia, Africa, the middle east and Australia. Mr Cetinich has travelled extensively and has been troubleshooting with major gas companies for years when it comes to gas cylinder packs and pallets. Mr Cetinich has given a unique kind of attention to the CEFRANK design. The kind of attention benefits from years of travel, experience, improvement on design flaws across a range of industry standards and most importantly passion for his work. Mr Cetinich has dedicated his life to his business and the development of a superior product that is cost effective to manufacture, transport and maintain. Regarded by peers and colleagues as a pioneer in the industry, Mr Cetinich has enjoyed the challenge of bringing his fresh approach and unique perspective to compressed gas cylinder equipment and to a very closed and conservative niche industry. 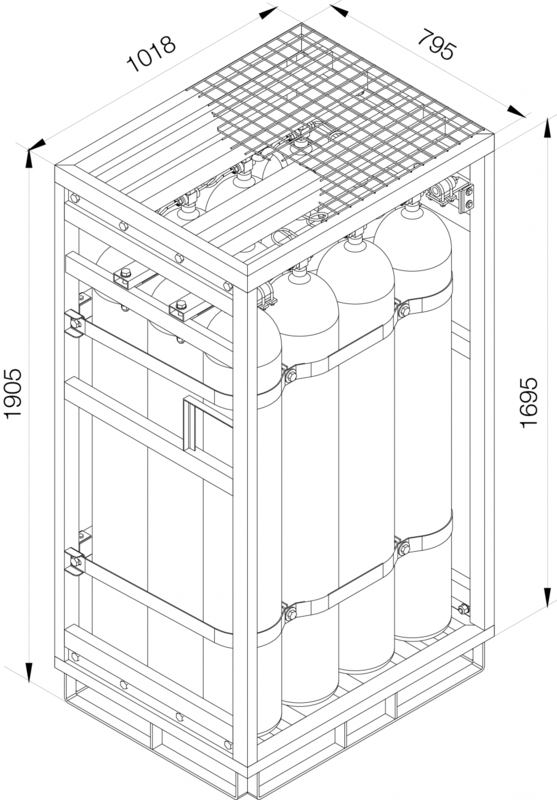 Lately we’ve had a resurgence of interest in our slim-line range of gas cylinder packs and pallets. Designed to fit 17 x 12 cylinder bundles into a 20 foot container – which is 3 more than our regular design – this design upholds all of the rigorous design and manufacturing standards as our regular bundle, but with a design that allows more bundles to fit into a container. This concept was designed by Mr Cetinich because he could foresee a time when resources became scarce and environmental impact became a major concern of the gas industry. This range of slim-line bundles is perfectly in tune with the wider ethos of CEFRANK. Our mission is to offer a range of products that first of all is of the highest quality, but that doesn’t rely on old fashioned engineering attitudes and the out of date belief that “if it ain’t broke don’t fix it“. 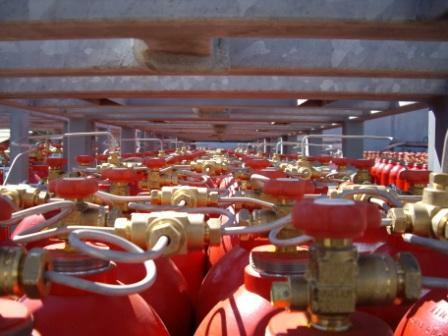 We believe that the current standard of gas cylinder bundles in the field today are over-engineered, over weight and are costing not only the gas companies but the environment. – Our gas cylinder bundle is lighter, has a smaller carbon footprint, and is cheaper to maintain. – Our designs will conform with your current standards and we work with businesses to find the mostcost-effective solutions. – Our prices are competitive as we have adopted a business model that saves significantly on overheads. – We have global reach, reputation and experience. So, what’s stopping you from getting in touch to find out if your business can benefit from our wisdom? 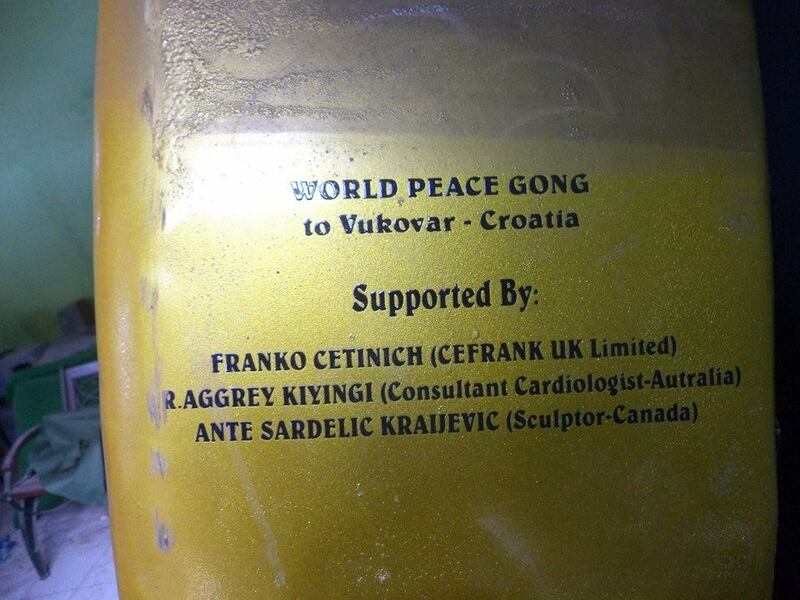 For many years, CEFRANK founder Mr Frank Cetinich has been involved in the World Peace Gong Committee. He has campaigned to get a World Peace Gong installed in the war-torn town of Vukovar. 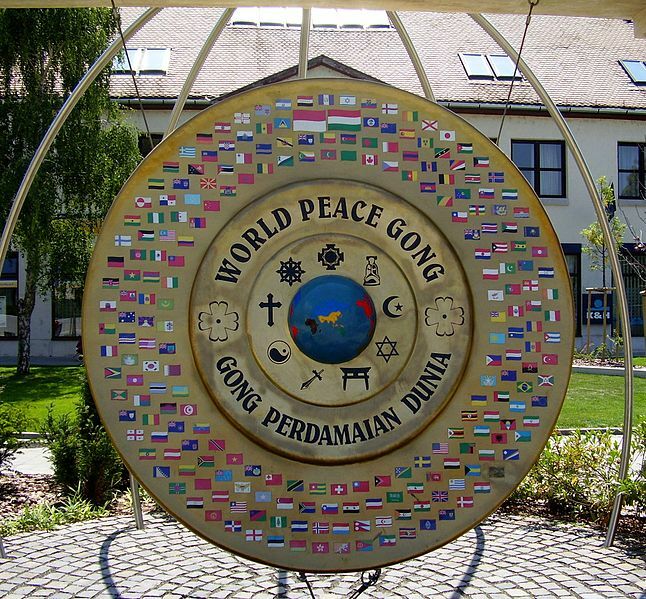 As the digital publication 1klik.hr reported (translated), “Indonesian Ambassador to Croatia Agus Sardjana this year in Vukovar will be a monument to World Peace Gong . Sardjan is announced during today’s visit Vukovar when he pointed out that Vukovar proper place for such a monumental and distinctive monument works of unfortunate events and recent wartime past.” Symbolising peace, love and the future, the WPG has been installed in only 18 locations across the world in memory of the innocent victims of war. 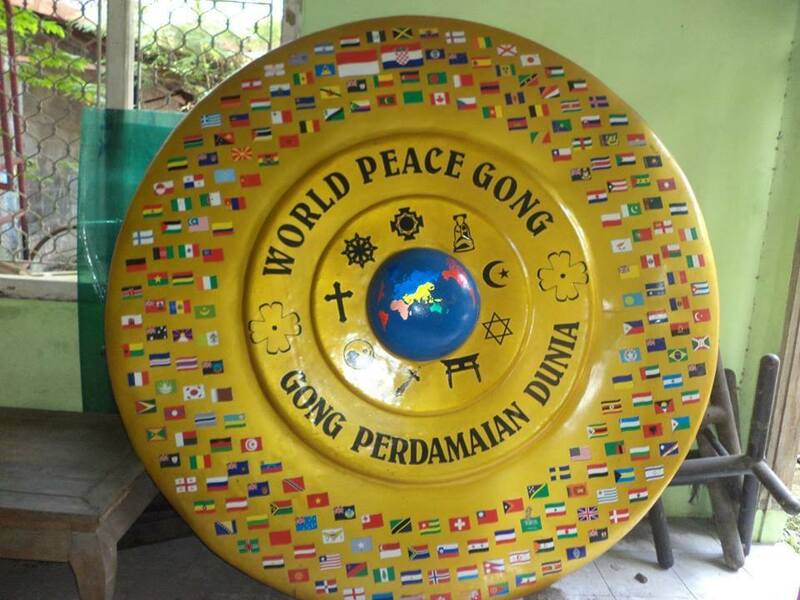 The original WPG was cast in Jepara, Indonesia as a monument to peace, tolerance and cooperation among nations before being taken around the world. With a message of peace and harmony despite differences of faith and culture, Mr Frank Cetinich supports the WPG as a gesture of faith in the human spirit and the dream of unity. He looks forward to the gong coming to Vukovar and believes it will serve as a symbol of moving forward and hopes for a peaceful future for Croatia. According to Jiangsu.net “42 international industrial giants of the world top 500 corporations listed on the Fortune 500 have set their offices in Changzhou.” CEFRANK’s major manufacturing facility lies in the city of Changzhou, an affluent area on the Yangtze Delta region, just west of Shanghai. Technical Director Mr Wangzhenglin is responsible for the manufacture, assembly, testing and sales of our compressed gas cylinder equipment that occurs at our Chinese site. Much like the rest of the country, Changzhou has developed very quickly in the last 20 years and is a very different city to the one we first experienced when we opened up our first site. Changzhou is one of thirteen prefectures in the Jiangsu province and is located in amongst the hub cities of Wuxi, Ningbo, Nanjing and Hangzhou surrounding Shanghai. Traditionally a city known as a national and provincial industrial centre, Changzhou is famed for its Four Pillar Industries, mechanical, electrical manufacture, automobile manufactures and textiles, later adding high-tech, electronic, biomedical and chemical industries. 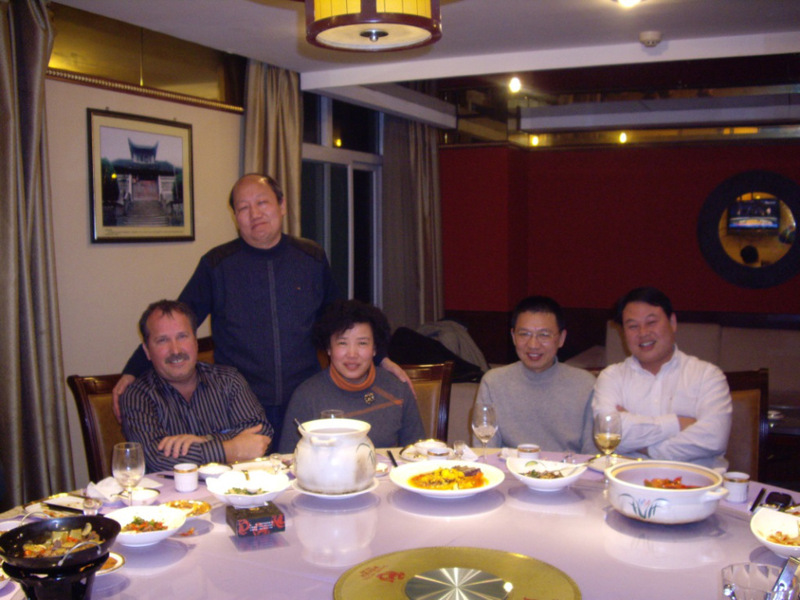 The inhabitants of Changzhou are noted for their honesty and faithfulness and this has certainly been our experience since the beginning. 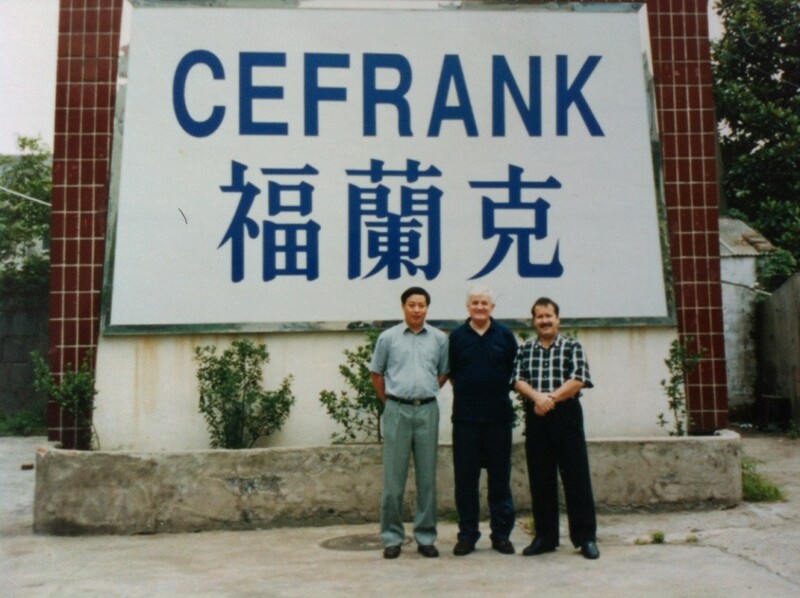 Director Mr Wangzhenglin and many of our Changzhou staff have provided CEFRANK with loyal service and honest stewardship since we opened in 1995. 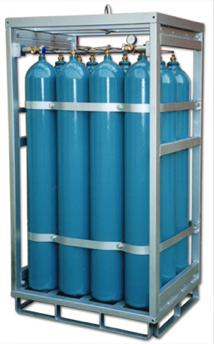 Once purely a gas cylinder bundle and pallet manufacturing facility for CEFRANK’s western business operations, CEFRANK Changzhou has become a strong local competitor in its own right, providing gas cylinder bundles, manifolds and pallets to many major gas companies throughout the nation and beyond. In May this 2013, the British Croatian Business Club was launched to coincide with the accession of Croatia into the European Union. A gala event and products & services fair was held in the Battersea Arts Centre to promote and celebrate the Croatian milestone and the beginning of the independent non-commercial business club funded by membership and sponsorship, known as the BCBC. Frank Cetinich is one of the founding members and the first Chairman of the BCBC. In between site visits and technical troubleshooting for CEFRANK UK, Frank is currently working hard to promote business and opportunities between Great Britain and Croatia. With such a wealth of experience doing business and networking on an international level, Frank is ideal as the driving force behind the new business club. The President of the Republic of Croatia, Dr. Ivo Josipovic expressed his sincere congratulations at the Club’s effort to promote Croatia within the United Kingdom. 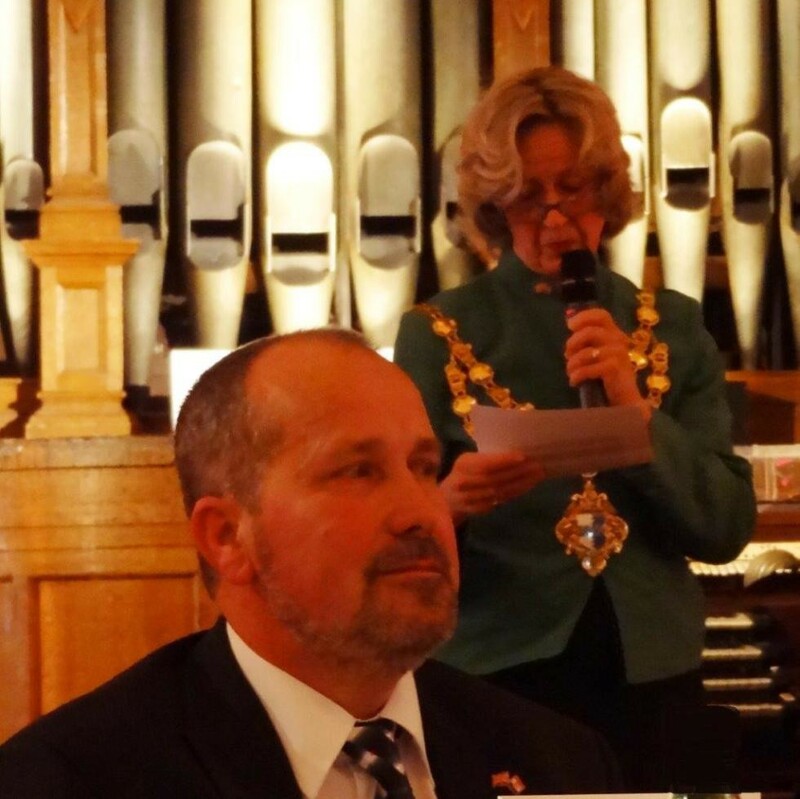 The effort of the Club was also recognized by the British Government and the Worshipful the Mayor of Wandsworth, Councilor Angela Graham, who visited the Fair and met representatives of Croatian companies. The Croatian Ambassador to London His Excellency dr.sc. Ivan Grdesic and British Ambassador to Croatia His Excellency David Slinn evaluated the Fair as a unique opportunity to create a long lasting relationship between British and Croatian companies within the European market. Since the inception of the club, there have already been several events that the BCBC has been involved in including, the Olympic Games at Croatia House in London, live music events, Croatia at the Crossroads conference, the Zadar City Council presentation on business investment opportunities, Henley Royal Regatta VIP luncheon, Guards Polo Club Windsor VIP lunch, presentation on tourism development projects in Croatia, Members visit Alka, a knights’ tournament in Sinj and there are many more events planned for the remainder of 2013.